The United Kingdom (UK) has more or less run out of time to come up with a viable strategy for Brexit. The inevitable “no” vote on Theresa May’s attempted compromise of a deal has left the country staring down a cliff edge, into the troubled waters of World Trade Organisation (WTO) rules. A Brexit on WTO terms has been referred to as the worst-case scenario, and could plunge the UK’s economy into long-term uncertainty. The UK would have to pay higher tariffs on all imports. Car parts (10 percent), meat (12 percent) and dairy products (35 percent) have been the focus of particular attention. However, the cost of every commodity in the country going up is never a welcome scenario, no matter how modest the increase. While the UK government mishandled the exit from the European Union (EU), it is understandably seeking alternative trading partners. As things stand, the UK has a transition trade deal with Switzerland which unfortunately does not offer much conciliation. The quintessentially British phrase that we are in “a spot of bother” sums up the current situation quite well. The worst decisions are made in moments of desperation. A post-Brexit trade deal with China may well be one of those decisions. Why argue against a free trade deal with China? Imagine the reduction in tariffs! The business opportunity! The growth in services! However, a free trade deal with China will first and foremost serve to benefit a select few, specifically traders and banking corporates in the City of London. China trade relations became a much debated topic in both countries. Most of the noise (unsurprisingly) has come from the UK, however, China is clearly showing interest as well. After a trip to Beijing, British Secretary of State for International Trade, Liam Fox, and the Chinese Commerce Ministry jointly announced, both sides were “actively discussing a top notch free trade agreement”, and that was announced six months ago. Chinese Commerce Minister Zhong Shan also encouraged Britain to use the “post-Brexit opportunity” to expand its exports to China. 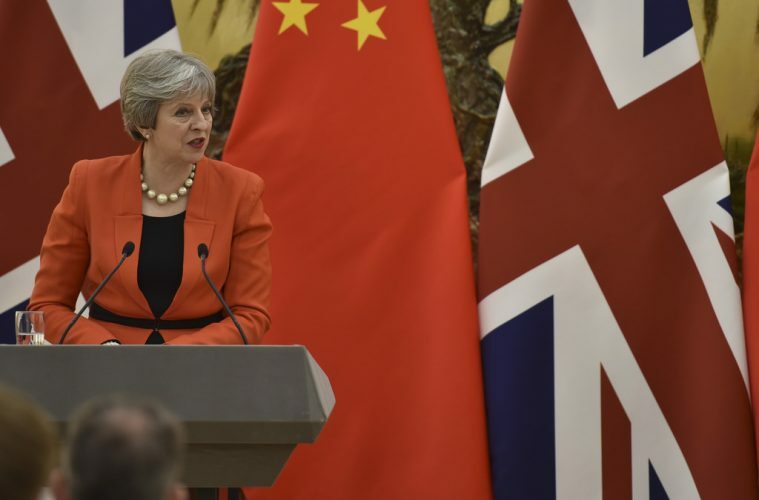 For Britain, a free-trade deal with China is a particularly sensitive issue. This comes down to three reasons: exposure, human rights and historical resentment. All three aspects should be considered before signing a deal. It is important not only for Britain, but for other European economies tied to Britain, to consider the ramifications of a free trade deal if a no deal Brexit becomes a reality. Britain’s exposure to China is alarmingly high and a free trade deal would exacerbate vulnerability. 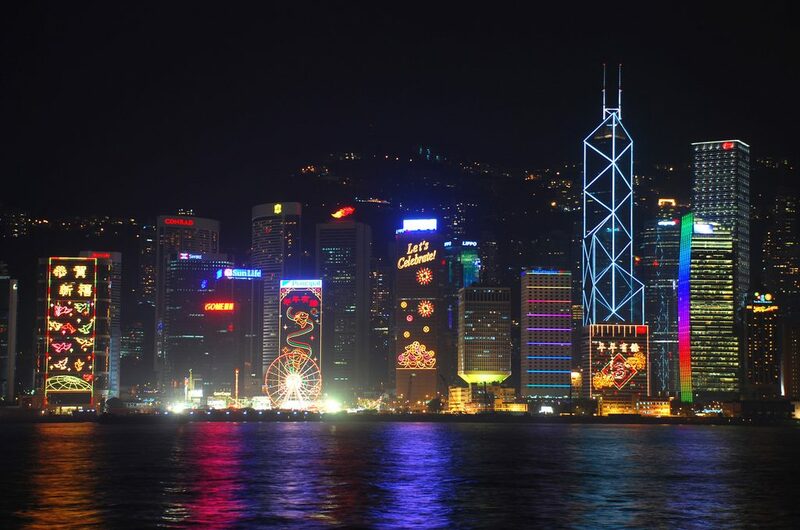 According to the Bank of England, UK banks’ exposure to mainland China and Hong Kong exceeds “the US, Euro area, Japan and South Korea combined”. This is despite the fact that the UK economy is a 15th the size of the aforementioned four economies together. This is incredibly concerning considering there is talk of a Chinese financial crisis. Despite a slower growth rate of 6.5 percent in the third quarter of 2018 (the lowest rate since 2009), the peace brokered with the Trump administration and the People’s Republic of China (PRC) to put an end to the tariff war remains fragile. The ongoing tensions risk a slowdown in growth not just for the two superpowers, but for the world economy. This, along with a Chinese housing bubble that is waiting to explode, a stagnating stock market, and a very alarming demographic issue should not fill the UK with unbridled optimism. Strengthening Sino-British trade relations may not be a wise step. Realistically, the only good Britain can offer China is services, an industry that is subject (more than most) to the ebbs and flows of its clients and the global economy. This will only increase exposure and risk. If China is brought to its knees it will bury the UK in the ground beneath it. Seeing as the UK economy is already in an unpredictable state, it is unwise to further increase uncertainty. Running the risk of sounding “Western centric”, the question of human rights does matter. There is obviously no such thing as an “innocent” superpower, and the human rights record of the US and the UK are both appalling. The human rights record of the former was in fact subject to criticism by none other than the Chinese State Council. If we examine the human rights record of China, we can accumulate a long list of violations, including state sponsored “correction camps” for Uighur muslims (hailing from the North-Western province of Xinjiang) that force practitioners to become apostates under the guise of “vocal training centres”. The state has even started interning Hui muslims, who form part of the ethnic Han majority and are often referred to as China’s “preferred muslims”. Coupled with mosque closures and nationwide assaults on muslims, the situation sheds light on China’s continuing oppression of Islam. Terribly sad considering the religions hugely important role in the history of Chinese culture, and the religion of famed Ming Dynasty explorer Zheng He. The Chinese Communist Party’s (CCP) suppression of Tibetan Buddhism is more evidence that China’s attitude towards human rights, especially minority rights, remains concerning. In 2015, Freedom House ranked Tibet’s human rights situation between “Syria and North Korea”. Tibetans are paid less than Han Chinese residents in Tibet, whilst Buddhist monasteries are subject to closures and even destruction, if they do not tow the CCP’s party line. There have been one hundred Tibetan self-immolations in protest against the Chinese government since April 1998, with three self-immolations in 2018. The failure of the international community to react to the situation is frankly embarrassing. This is not to mention the lack of freedom of speech, continuing practise of the death penalty, and unlawful imprisonment also occurring in China. Should the UK kowtow to a country with a record such as this? Granted, it hasn’t stopped us in the past. The UK was the first Western country to sign up to China’s Asian Infrastructure Investment (AIIB) bank in March 2015. Britain also has close economic ties with other suspect governments, such as Saudi Arabia and Turkey. Maybe it is time for the UK to find the moral compass it professes to have? Ceding power to a country as fractious as China could have ramifications, particularly in an era of contested power. Relations between Western countries (the EU and US in particular) are at an all time low. China is likely to act on this in an attempt to take on the lead in world trade. The UK would be one of the most effective and arguably easiest country through which China could widen divisions in the West. The “hundred years of national humiliation” period in Chinese history, between 1839-1949, has not been forgotten. It remains evident that this is the case if one hears Xi Jinping’s nationalist rhetoric in his speeches, including one particularly poignant speech in Hong Kong. If Britain does not think China will belatedly retaliate to past humiliations, Britain has clearly not paid attention. The first and second Opium Wars (1839-1842 and 1856-1860 respectively) resulted in not only the occupation of Hong Kong, but the prying open of China to the world, triggering more than 100 years of political instability. The Chinese people are famed for their patience, and historical resentment remains. Many readers will think that it’s insane to suggest China would try to “seek vengeance” on the UK, however the possibility is not as far fetched as one may think. The Belt and Road Initiative (BRI), China’s multi-billion development foreign policy, shows cases of politicised investment. Sri Lanka signed a long-term lease on its deep water port Hambantota in exchange for a $1.1billion write-off of Chinese owned debt. Some suspect this move sought to take advantage of Sri Lanka’s debt burdened status to eventually have a military foothold in the Indian Ocean. This is further reinforced by China’s lease of Gwadar port in Pakistan, which observers believe to be part of a similar debt trap. Malaysia and several Pacific Island nations also have growing concerns with their mounting debt to China. The government of the Maldives also recently announced that they would look to renegotiate their debt to China, accrued by BRI sponsored projects. The UK is not invulnerable to such practises because it is a developed nation. Chinese industry buying in the UK has already caused concern. General Nuclear Power (GNP), China’s state-owned energy industry, made several shareholder purchases of British nuclear plants, including Hinkley Point C power station in Somerset. Moreover, there are rumours that GNP is considering acquiring a 49 percent stake in the UK’s existing power plants. The purchasing of strategic real estate by Chinese conglomerates has also raised eyebrows, for example London’s eye catching 122 Leadenhall Street “Cheesegrater” building has been bought by Hong Kong based real-estate firm CC Land. One can imagine a scenario where China leverages assets and industries in the UK to its advantage. A free trade deal would increase the likelihood of Chinese corporations doing this. Of course, this is not guaranteed, the Chinese agenda in Western Europe remains to be fully understood. Nonetheless, the increase in nationalistic rhetoric within China and the more aggressive stance the country is taking in international politics should be a cause for concern. Christopher Coker called China’s foreign policy “resentful” in his book The Improbable War, and the British government should start recognising China as such. This all has to be framed in the context of Brexit. The UK, desperate to find trading partners before a chaotic exit from the EU, will sign any dotted line presented to it. The Department of International Trade will have to make up lost economic ground. The UK has not much to offer in terms of a trade deal. Roughly 80.2 percent of the UK economy is made up of the service industry. Whilst it is the tenth largest goods provider in the world, it produces nowhere near as much as the US, China and India – economies that it seeks to trade with post-Brexit. In a negotiating scenario, the UK can do very well against medium sized economies such as Japan and Brazil, but this is not the case for larger economic powers. Signing a free trade deal with any larger economic power entails high risks; however, China is a very particular case. As the country becomes more aggressive on the international stage, nations need to respond with a more cautionary, united approach. This is certainly true for the UK. This may leave one asking, “If the UK shouldn’t pursue a free trade deal with China, then what is the best course of action?” Of course, there is the US, the Trump administration has expressed an interest in negotiating a free trade agreement with Britain. There is also India, where no doubt the UK will be using its commonwealth rhetoric to encourage the economic giant to enter into trade negotiations. There are also a myriad of other options with medium sized economies, with Japanese Prime Minister Shinzo Abe suggesting the UK could sign up to the Trans Pacific Partnership. Cameron Rogers is on the “Europe and Asia in Global Affairs” dual degree with Fudan University. He has lived in both South Korea and Hong Kong, and wrote his undergraduate thesis on Chinese soft power growth under Hu Jintao and XI Jinping. Previous ArticleIs the Left Finally Returning to Politics?